Olivia performed most recently on Show 314 in Orono, ME, recorded on October 25, 2015, at age 16. 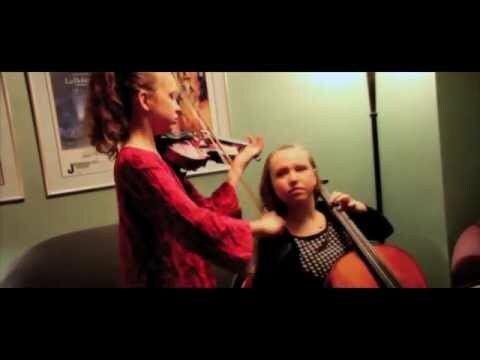 She also performed with her sister, Charlotte, as part of the Sempre Sisters duo, on Show 297, in Storrs, CT, recorded on November 1, 2014, at age 15. Olivia Marckx (cello), 16, is from Bellevue, Washington, and has been playing cello since she was nearly six, studying with her mother Leslie Marckx. 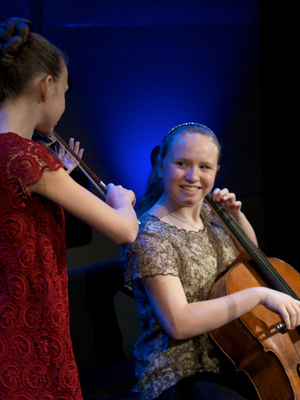 She was recently one of 11 cellists from around the world chosen to participate in the 2015 Triennial Johansen International Competition for Young String Players held in Washington, DC, and has soloed with several orchestras, including the Seattle Symphony, Sammamish Symphony, Coeur d’Alene, Cascade Symphony, and Seattle Festival Orchestra. Olivia was the grand-prize winner of the 2013 KING FM Young Artists Awards and a featured performer with the Seattle Chamber Music Society. Her duo, Sempre Sisters, was featured on NPR’s From the Top, and her string quartet, Pike Street Quartet, won the coveted Haydn Prize and the bronze medal at the 2015 St. Paul String Quartet Competition. Olivia is fortunate to also work with Ray Davis, Meeka Quan diLorenzo, and Chuck Jacot. Outside of music, Olivia loves to read. Olivia is a Jack Kent Cooke Young Artist.